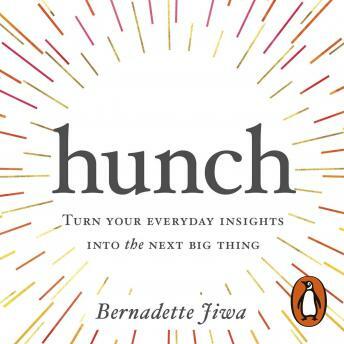 Penguin presents the unabridged, downloadable audiobook edition of Hunch, written and read by Bernadette Jiwa. Anxiety over 'being more innovative' leads entrepreneurs to create solutions in search of problems. But what if you could use your intuition to identify an existing problem that's begging for a solution? Every breakthrough idea starts not with knowing for sure, but by understanding why it's safe to try. Intuition alone doesn't tell you exactly where 'x' marks the spot, but it can give powerful clues as to where you might begin to dig. This is the book you need if you're ready to begin finding them.